GPS/Galileo/GLONASS Combiner / Pass DC from Output to Input 1 and 2 / N-female type connectors. 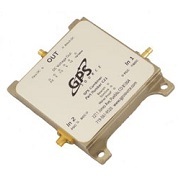 The C21S GPS/Galileo/GLONASS Combiner is a two-input one-output RF device. 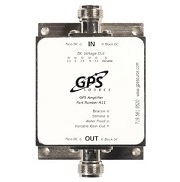 The most common application is taking input from two GPS antennas and combining the signal to one receiving GPS unit. In this scenario, the C21 will pass DC from the RF output to both antenna input ports (J1 & J2) in order to power the active GPS antennas on those ports.